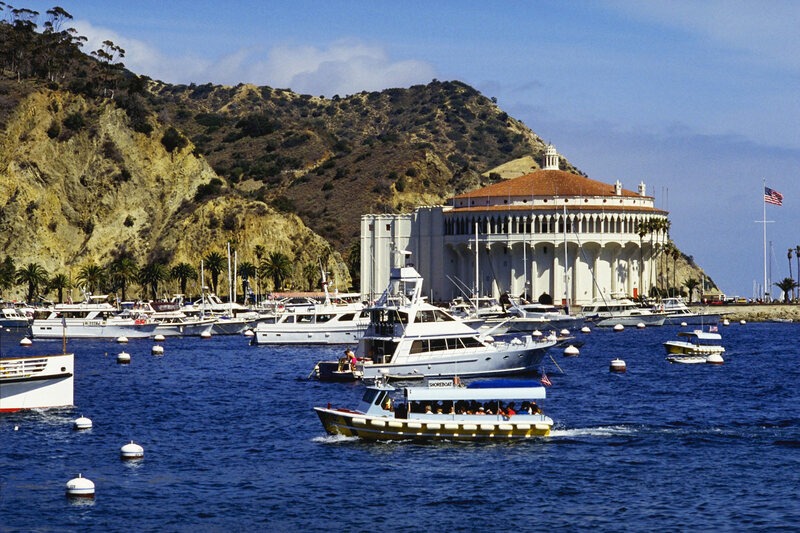 This white paper addresses the on-going efforts by the Santa Catalina Island Company ("SCICo") to restrict access to the Island for freight service to a single entity chosen by SCICo through a private request for proposals ("RFP") process. Implementation of SCICo's freight service plan requires action by two State agencies: the California Public Utilities Commission ("CPUC") and the State Lands Commission ("SLC"). If successful before these agencies, SCICo would eliminate the possibility of any competition in the hauling of goods and services to the Island. SCICo wishes to replace the sole existing freight service provider (Catalina Freight Line, "CFL") with a new company (Avalon Freight Services, "AFS"). AFS is a joint venture between the Island's dominant (90%) maritime passenger services company and another barge company. If SCICo's plan is fully implemented, AFS will hold control over nearly 100% of freight and 90% of passenger service between the Island and the mainland (Los Angeles Harbor and Long Beach). Curtin Maritime Services ("Curtin") is an established freight hauler in the area with offices in Long Beach. It has contracts with the Army, Navy and several large oil companies. Curtin is owned and operated primarily by people who grew up on the Island, who want to see competitive freight service to the City of Avalon. California Public Utilities Commission: At the CPUC, a Constitutional agency which regulates maritime freight service, both AFS and Curtin have requested certificates to serve the Island and CFL has intervened and is participating actively. AFS has taken the position that a certificate can be issued to Curtin or even CFL, but that such action will be meaningless as SCICo can and will limit access to Avalon's only freight landing area to AFS. The issuance of a certificate requires a finding by the CPUC that the requested service is required by the public convenience and necessity and that the certificate recipient is able to provide that service in a manner that benefits the public. The matter is awaiting responses to motions (consolidation, interim relief for AFS) and the establishment of a procedural schedule. The City of Avalon has attempted to participate at the CPUC where it is opposed by AFS even as to the City's request for party status. AFS also opposes local hearings in Avalon, which would allow residents to voice their opinions in a convenient forum. Many residents and businesses have submitted letters and e-mails supporting service by more than one freight hauler. The CPUC has a strong preference for competition. It has stated that "[it] will allow competition whenever to do so is not adverse to the public interest". (D.07.01.006, 2007 Cal. PUC Lexis 12, 6-7). Competitive passenger service to the Island was opened up by order of the CPUC. (D. 97.11.027, 1997 Cal. PUC Lexis 1028); but access is easier there as the City owns the passenger service landing area. In that decision, the CPUC also stated that "only where competition will not lead to lower rates or better service …do we regard competition as contrary to the public interest…". The State Lands Commission: The SLC has pending several requests for lease renewals by SCICo to continue its control over the Pebbly Beach landing site, which sits on State Lands. Despite statements to the contrary by SCICo, neither the City nor any other group was formally part of its private RFP efforts which were intended to only allow one freight company access to the landing area on State Lands. The matter was considered by the SLC on April 23, 2015, but continued until June 29, 2015 so the SLC could further understand the implication of the ongoing CPUC and Attorney General processes (discussed below) on the proposed lease renewals. The SLC is also a Constitutional agency. It is directed by the Constitution (Art. 10, sec. 4) to ensure that "no individual, partnership or corporation… shall be permitted to exclude the right of way to such water whenever it is required for any public purpose, nor to destroy or obstruct the free navigation of such waters; and the Legislature shall enact such laws as will give the most liberal construction to this provision, so that access to the navigable waters of this State shall always be attainable for the people thereof." This provision has been broadly interpreted to prevent restrictions on access to commercial and private interests. California Attorney General: The 40-year incumbent freight provider, CFL, has met with the Anti-Trust Division of the California Attorney General (Stephen Ramirez, Investigator, and Winston Chen. Curtin has also met with that office and provided a detailed briefing book of publicly-available information. The AG's Office has requested that the City of Avalon provide it with a number of documents relating to SCICo's activities. SCICo's recent RFP process had the stated intent of choosing a single and exclusive freight services provider. The expectation was that the new provider, AFS, would be the sole CPUC-certified maritime freight provider to all residents and business on the island. The RFP process was private: no public process was conducted, and no public official was approved to participate and none advised their respective governmental entity. No record exists of the Avalon City Council's approval of participation by a member and no formal report was ever submitted to the Council on the RFP process or results by a member. In its response to Curtin's request to negotiate access for competitive freight service companies, SCICo has stated several reasons why it do not believe other providers can or should be allowed access to the Pebbly Beach facility. Each is inaccurate, as set forth below. "Multiple commercial users of the freight facility would result in substantially increased congestion in the freight yard"
This is incorrect. No party expects any significant increase in total freight with adding competition for freight service, just as passenger service did not appreciably increase with the imposition of competition by the CPUC on that service. Initially and for some time, the amount of freight will remain at current levels. "A barge can use the ramp safely only at medium to high tides thereby limiting the effective availability of the ramp to a few hours each day"
Curtin Maritime's shortest ramp is substantially longer than the ramps being used by CFL (the current provider). This allows Curtin to land at the ramp through the full range of tides. Others may have similar capabilities. "Allowing another commercial user creates scheduling problems, inefficiencies in moving freight onto and off the facility to the detriment of the users of the facility and the public"
This assertion is belied by research and the statements of the incumbent freight operator, CFL, who is the party most knowledgeable of freight operations, having maintained exclusive rights to that service for 40 years. While the yard is bustling during the on-loading and off-loading process, which takes between 3 and 4 hours a day, there is little to no activity during other hours. Due to use of a longer ramp, Curtin and others would be able to operate during the hours when the ramp is not being utilized by SCICo's selected service provider and the yard is otherwise sitting idle. The incumbent, CFL, has also stated publicly at Avalon City Council meetings that based on their 40 years of experience, multiple operators could operate out of the facility with no decrease in efficiency or detriments to the users of the facility. "SCICo does not believe that there are offsetting benefits to the City of Avalon and its residents from intensifying the use of the Pebbly Beach freight facility by giving another operator use rights"
This position is contrary to well recognized CPUC and State policies. There is a strong and supported assumption that competition will have a net positive impact on customers such as was demonstrated when the CPUC required competition in passenger service to the Island. Curtin believes that competition between multiple service providers will always provide benefits to consumers by adding choice, reducing prices and increasing the quality of service. Vigorous, competitive marketplaces help consumers by ensuring fair prices for quality goods and services which would directly benefit the City of Avalon and its residents. "SCICo, as the owner of the docking facility (constructed on State Lands), chooses not to incur increased and unacceptable risk of injuries and environmental accidents"
The safety of the facility does not depend on the quantity of users, it is the quality of users and the volume of freight that ensures safety. Since there will not be an expected increase in the volume of freight, the quality of users will matter most. Curtin has high safety ratings which are based on heavy marine operations, and not light ferry operations that are part of freight service to the Island. Further, any landowner liability would be limited through the terms of the lease and the tenant's insurance programs. Curtin has also requested that SCICo negotiate with it for an Island location for a gasoline service station (SCICo owns the only gas station on the Island), but SCICo has failed to address this request to date. Recently, gasoline in Long Beach was less than $3 near the loading area for passenger service to the Island -- but more than $7 on the Island itself at the SCICo facility. Curtin believes that certain actions by governmental entities are needed to create any competition for freight and other services on the Island, to establish customer choice, to reduce rates for all good and services, and ensure better quality service to the public. The AG's office opens a formal investigation into the operations of SCICo as they may adversely affect competition and result in limited choices and higher prices by Island residents and businesses for essential services and products. The SLC approves the leases for SCICO BUT conditions the leases to allow for access to the landing areas and warehouse by multiple service providers, certificated by the CPUC, at equal rates and terms. The CPUC issues certificates to all three competitors conditioned upon open and equal access to essential facilities being made available to all certificated regulated freight services providers.